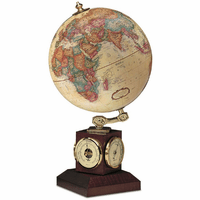 The Auburn globe, by Replogle, will make a beautiful addition to home or office! 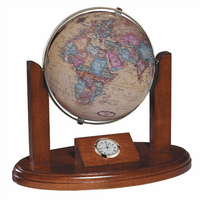 It features a 12' diameter blue ocean globe with raised relief detailing, set in a black matte finish wrought iron base. 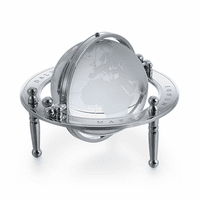 A full die-cast meridian circles the globe, creating a total dimension of 14.9' x 14.9' x 19.75'. 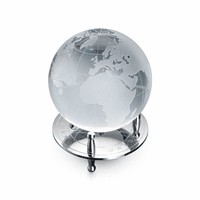 This is a wonderful gift idea for wedding, anniversary, graduation, retirement, or business promotion, and will add elegance to any room, and fascination for all who see it!